A REGULAR MEETING of the Stillwater Township Committee was called to order by Mayor Chammings at 7:10 p.m. noting the meeting date, time and place were duly published in the New Jersey Herald and posted at the Town Hall and advised those present that this meeting was being held in compliance with provisions of P.L. 1975, Chapter 231, Sections 4 & 13. After the reading of the following Resolution to enter into Executive Session, a motion was made by Mr. Scott, seconded by Mr. Gross and carried by roll call vote to adopt the resolution permitting the Committee to go into Executive Session at 6:01 p.m.
1. The public shall be excluded from that portion of this meeting. 3. As nearly as can now be ascertained, the matter or matters to be discussed at this time will be disclosed to the public when such matters are resolved. There being no further business to attend to, a motion was made by Mr. Fisher, seconded by Mr. Gross to conclude the Executive Session at 7:05 p.m., unanimously carried by roll call vote. Justin Francomacaro as Deputy OEM Coordinators effective March 20, 2018. Mr. Scott made a motion to accept the Zoning Officer Report for February 2018, seconded by Mr. Gross. 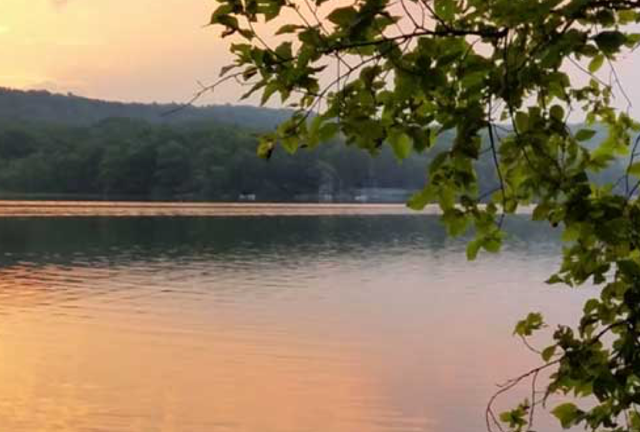 The Zoning Officer included a memo requesting the Committee consider clean up of a property in Crandon Lakes, funded by the township with a lien being placed against the property to cover the costs. Attorney Bolcato indicated funds could not be used from the abandoned and vacant property registration revenue. Funding could be appropriated in the budget to address the issue. Mr. Bolcato would contact the Zoning Officer to discuss further and determine the statute jurisdiction. The Committee discussed the pros and cons of funding clean up and placing a lien on a property. Concerns were expressed with access to properties, as well as safety and liability issues. The Committee was favorable to levying fines against the owner and if not paid, a lien could then be placed on the property. Mr. Fisher felt the property should be cleaned up as there have been multiple complaints. He suggested allowing Mr. Bolcato and the Zoning Officer to discuss the matter and come to a suitable resolution. The Committee agreed. Mr. Scott made a motion to adopt Resolution 2018-045, seconded by Mr. Fisher. At this point, this portion of the meeting was opened to the public at 7:27 p.m. 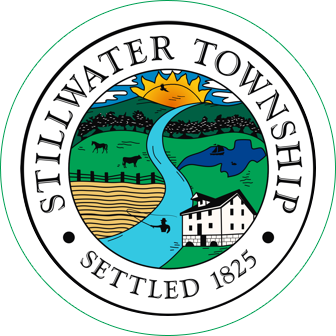 There being no members of the public wishing to speak, this portion of the meeting was closed at 7:27 p.m.
All summons issued from the Township of Stillwater shall be presented in the Joint Municipal Court on and after its effective date. This ordinance shall become effective upon the adoption of all required resolutions and ordinances and the execution of all agreements and contracts required to establish and implement the Joint Municipal Court by all municipalities participating in the Joint Court, and upon the termination of the Borough of Branchville’s current court agreement. In the event that any of the other participating municipalities, Wantage Township, Sussex Borough and/or Branchville Borough fail or refuse to adopt any ordinances and/or resolutions required to approve the Joint Municipal Court, and/or fail or refuse to execute all agreements and contracts required for the Joint Municipal Court, this ordinance shall be void and of no effect. All ordinances or parts of ordinances or resolutions inconsistent or in opposition to the provisions of this Ordinance are hereby repealed in their entirety. Mr. Scott made a motion to open the meeting for public comment on Ordinance 2018-02, seconded by Mr. Fisher. There being no one from the public wishing to comment, this portion of the meeting was closed. Mr. Scott made a motion to adopt Ordinance 2018-02, seconded by Mr. Fisher. BE IT FURTHER RESOLVED that a Summary of said Budget shall be published in the Sunday Herald on April 1, 2018 and the public hearing and final adoption shall be held on April 17, 2018 at 7:00 p.m. at the Municipal Building at which time and place objections to the 2018 Municipal Budget may be presented by taxpayers or other persons of interest. Mr. Scott made a motion to adopt Resolution 2018-046, seconded by Mr. Gross. Article IX. Fees and Deposit. Every application for development shall be accompanied by a check payable to the Township of Stillwater in accordance with the following schedule. For purposes of this Ordinance, the term “area being disturbed” means any area whereupon any activity involving the clearing, excavation, storing, grading, filling or transporting of soil will occur, or whereupon any other activity will occur which causes soil to be exposed to the danger or erosion, including the detachment or movement of soil or rock by water, wind, ice and/or gravity. *Fee and escrows paid in connection with concept applications shall be credited toward the fee and escrows required for minor and major subdivision and minor and major site plan applications once submitted within one (1) year of the Board’s review of the concept plan. D. Variances pursuant to N.J.S.A. 40:55D-70c(1) or (2) included in § 240-90. C. above. E. Variances pursuant to N.J.S.A. 40:55D-70d included in § 240-90. C. above. F. Variances pursuant to N.J.S.A. 40:55D-36 included in § 240-90. C. above. G. Conditional use application and escrow review fees included in § 240.90. C. above. H. Transcription fees. One hundred percent estimated costs at $4.50 per page. If estimated fees are insufficient, the person ordering the transcript shall pay the full actual cost to the Township. I. Revision fees for applications previously approved included in § 240.90. A. and B. above. J. For items not covered; $300. K. Special meeting fees: $1,000, or the actual cost to the Township of Stillwater, whichever is greater. The applicant shall deposit the sum of $1,000, with the Township at least five days in advance of the special meeting. Any balance owed shall be paid within seven days after the conclusion of the meeting. M. Informal concept review N.J.S.A. 40:55D-10.1 (presentation limited to 45 minutes). Whenever the Planning Board shall grant informal review of concept plan for a development, the fee for such information review shall be a credit towards fees for review of the application for development in accordance with the provisions of N.J.S.A. 40:55D-10. An applicant desiring to have a concept plan or plat informally reviewed shall so notify the Planning Board Secretary, who shall place the matter on the agenda at the most convenient time for the Board. C. Escrow established by § 240-90. Remove § 240-91 J. (4) in its entirety. All deposits for engineering, legal and other technical review fees shall be made prior to the performance of the professional services which the deposit is intended to cover. When an escrow account is reduced to the required amount identified in § 240-90, the applicant shall be required to replenish the account to not less than one hundred (100%) of the original amount required. Mr. Scott made a motion to adopt Resolution 2018-047, seconded by Mr. Gross. BE IT FURTHER RESOLVED, the Township Committee of the Township of Stillwater submits this Resolution as a formal complaint to the Board of Public Utilities for the neglect and lack of maintenance of phone and cable lines and poles and urges the Board of Utilities to investigate this matter and require the phone and cable companies to inspect and maintain their utility lines and poles for the safety and welfare of our residents and motorists who travel our roads each day. NOW, THEREFORE, BE IT RESOLVED, the Township Committee of the Township of Stillwater, hereby requests a representative of the phone company (Centurylink) and cable company (Service Electric) contact the Mayor of Stillwater Township and visit Stillwater Township in an effort to inspect these utility lines and poles and develop a plan for vegetation management. BE IT FURTHER RESOLVED, a copy of this resolution be forwarded to the following: State of New Jersey Board of Public Utilities; Centurylink; Service Electric; Senator Steven Oroho; Assemblyman Parker Space; Assemblyman Harold J. Wirths; Sussex County Board of Chosen Freeholders, Director Jonathan Rose; United States Congressman Josh Gottheimer; United States Congressman Rodney P. Frelinghuysen; United States Senator Cory Booker; United States Senator Robert Menendez; Sussex County municipalities and Jackie Espinoza, JCP&L Regional Manager. Mayor Chammings thanked Parker Space for his assistance addressing the CenturyLink issues in the township following the recent storm. Mr. Scott made a motion to adopt Resolution 2018-048, seconded by Mr. Fisher. WHEREAS, Section 7002 Federal Impact Aid Funding is critical to our school district as the Stillwater School and Kittatinny Regional High School each receive approximately $350,000 in impact aid funding. It is extremely important to remember New Jersey law limits the increase in property taxes for local schools to 2% and the loss of Impact Aid cannot be made up by increasing local taxes without voter approval. NOW, THEREFORE, BE IT RESOLVED the Township Committee of the Township of Stillwater requests the reinstatement of Section 7002 Federal Impact Aid Funding into the 2019 Federal Budget, without delay, through the support of the newest “Dear Colleague Letter in the House and Senate”, and opposition to attempts to re-purpose Impact Aid into Educational Savings Accounts, which have been introduced in S.2517 and H.R. 5199, and opposition to any attempt to create other similar voucher-type programs that threaten the Impact Aid program. THEREFORE BE IT RESOLVED that the Township Committee of the Township of Stillwater they do hereby concur with the Mayor’s Appointment of Paul Barta as Class IV Planning Board Member effective April 1, 2018. Mr. Scott made a motion to adopt Resolution 2018-049, seconded by Mr. Fisher. Ms. Knott reported Mr. Vreeland met with Mr. Raff to review the Ridge Road plans. The project should be going to bid shortly. Mr. Scott reported the Recreation Commission meeting was cancelled due to the inclement weather. The DPW addressed the hanging tree limb on Old Foundry Road and are in the process of trimming trees and brush. Mayor Chammings reported she has filed preliminary damage assessment reports for the OEM, DPW and fire department. She will amend a report to include the Rescue Squad and will forward to Mark Vogel for acceptance. The Mayor also filed an assessment report for the March 6th and 7th storm for the DPW. She asked the Clerk to send a thank you letter to Parker Space for his assistance with CenturyLink. Mayor Chammings and Deputy Mayor Morrison attended the fire department installation dinner on March 10th. She requested a letter of thanks to be sent to outgoing Chief Francomacaro. The Mayor congratulated Eric VanderHaeghen who was named as the new Fire Department Chief. The Environmental Commission is in the process of obtaining quotes for a sign to be installed over the bridge at Veteran’s Memorial Park. A draft was previously displayed to the Committee. The amphibian crossing was held in early March, with little success. The EC would like approval from the Committee to plant 100 trees along the passive side of VMP to help address the invasives. The Committee had no issue. The Mayor attended a March 15th Sussex County League of Municipalities meeting opioid panel. There have been nine deaths attributed to overdoses in Sussex County this year and five of those were in Newton. Newton Chief Richardson provided a presentation and it affects the County tremendously. The Mayor reported the DPW installed millings in the driveway to the Recycling Center. The grant is for $1,571.55 and the Clerk would like to apply for the grant, funding to be used to purchaser an alarm system for the Municipal Building. The Committee agreed and authorized the Clerk to complete the grant application. Ed Szabo, 978 Route 521 provided his experience with CenturyLink and going three weeks without internet and phone service before the storm. As a result of a letter to them, he was able to have his bill reduced. Mr. Szabo stated Assemblyman Parker Space was nominated and voted Legislator of the Year, quite an honor. Mr. Szabo attended a meeting at Space Farms with Mr. Space and provided information on his experience. The Mayor noted Mr. Space was extremely accommodating during and after the storm. Jan Bonavita, 918 Dove Island Road thanked Mayor Chammings for her assistance during the power outages. 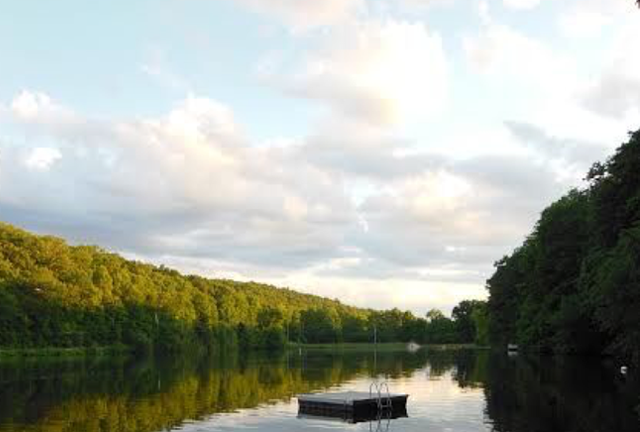 She felt the phone company was difficult to work with and there is a wire at the State Park that still has not been addressed. Mrs. Bonavita commended the DPW for their work during the storm. Joint Municipal Court Ordinance: Mr. Bolcato reported resolutions were adopted by all parties (Wantage, Sussex, Stillwater and Branchville) approving the agreement. 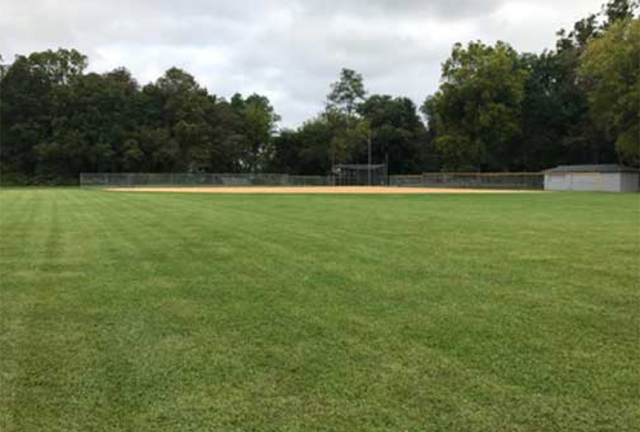 It will take approximately six months to receive approval through Trenton and for Branchville to withdraw their existing court. In Rem Foreclosures: Notice received from the County for complaint served. Next step is to conduct title searches. SECTV Ordinance: Mr. Bolcato forwarded his comments to SECTV several months ago with no response to date; he will follow-up. Mayor Chammings reported SECTV collected $691,354 in gross subscriber fees to Stillwater in 2017; two percent franchise fee to the township was $13,827. There being no further business, Mr. Scott made a motion to adjourn the meeting, seconded by Mr. Fisher. In a voice vote, all were in favor.